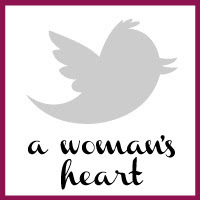 Last year, I was surprised to find out that I was nominated (and chosen!) 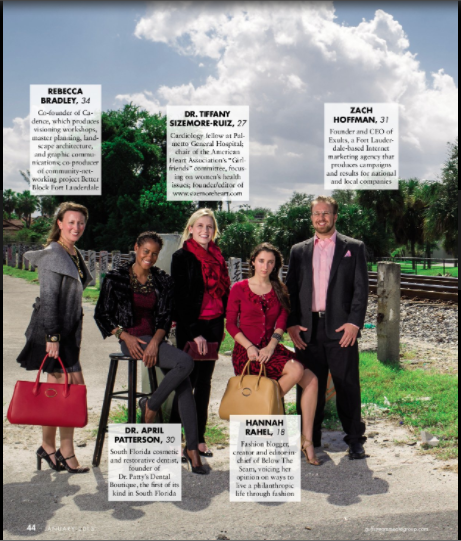 to be one of Broward county's Top 40 (people) under 40 for Gold Coast Magazine. We are called "the movers and shakers", innovators and leaders, in the January 2013 article...and I must say I feel honored to be a part of such a wonderful group of people. Our goal as a whole? Change our community (and nation!) for the better. I was honored to be surrounded by other young adults who share the same drive and determination for making this world a better place... like me! Alongside myself were artists, attorneys, charity organizers, city commissioners, the youngest house of representatives elect, a CFO of a major hospital system, a bank vice-president, a dentist and a veterinarian...just to mention a few. Funny thing, is most of these talented people do not just have a special job, but are also volunteers for multiple organizations. The digital article can be found...here! My goal? To continue to make you all proud! 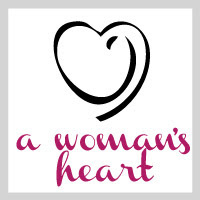 I will continue to strive to make sure that women's heart health is given the awareness that it deserves. More than anything, I will do everything I can to keep those hearts of yours healthy! I am a lucky girl, although I will admit what I do everyday is no easy task...but hey, someone has to do it! I wouldn't change the sleepless nights and tired days for anything in the world...because like I said on my facebook page, hearing "thank you for saving my life" makes it all worthwhile. It's important for us all to realize that age is just a number...young, old or in between, we can all have a positive impact on this world! For your continued support, I thank you all! !